Diverse teams and organisations can generate innovative ideas and enhance business performance. However, a diverse organisation also needs to be inclusive to maximise that potential. Role models can play, in this sense, a crucial role on fostering diversity and inclusion as well as attracting, retaining and developing talented people. On this event we will explore what it means to be an LGBT+ role model and the ways that everyone can step up as a role model to create inclusive workplaces. Join us for this special eve of the Gay Times Honours Awards! 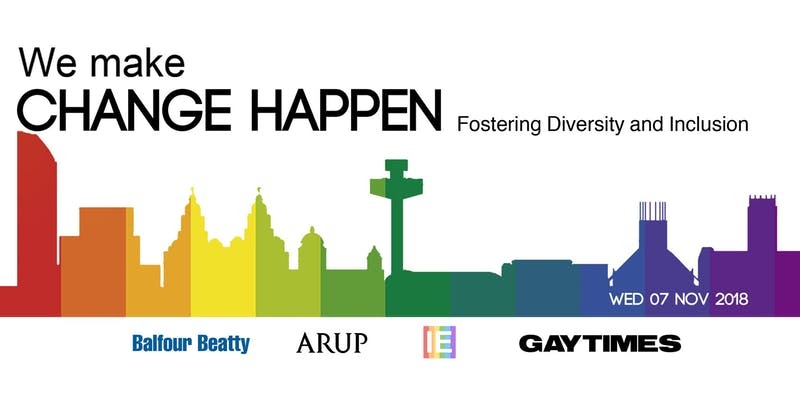 This event is kindly supported by Arup, Balfour Beatty and Gay Times. Spaces are limited so don’t forget to register!